A unique portrait of a time and place populated by fearless people, this reimagination of an uncommon woman is powerful. Elizabeth McCourt Tabor was a nineteenth-century legend who married a silver magnate and gained notoriety for her spectacular rise and fall in the mining west. In The Silver Baron’s Wife, Donna Baier Stein draws from Tabor’s notes on her dreams to powerfully reimagine one of the frontier’s uncommon women. The tightly focused plot details the fictionalized Lizzie’s struggle to reconcile her Catholic faith with her ambition. At first married to a layabout whose path takes them to the Fourth of July mine in Colorado, she divorces him after a series of complications. She then marries Horace Tabor, a businessman and politician. The repeal of the Sherman Silver Purchase Act leads to the couple’s decline in fortune, sparking her eventual retreat into solitude. From a comfortable childhood to poverty to extreme riches and back to a hardscrabble existence at the end of her life, colorful dramas are cast in a sympathetic light. On its surface, the story traces Lizzie’s whirlwind romances and the pain of being shunned by high society, but it’s the book’s deeper theme of searching for a dream in the wilderness that stands out. Sometimes just beyond reach, at other times approaching the mystical, Lizzie’s desire for a connection to the God of her youth adds dimension to the text. Early chapters skillfully reveal Lizzie’s ability to make the best of new circumstances. A transplant from Wisconsin, she proves her worth in bold acts that include working beside men in the mines. Even at her lowest moments, she doesn’t appear as a calculating opportunist. She’s portrayed as an intelligent, hardworking, lively individual. Stein fills in plausible thoughts and emotions that expand the facts of her subject’s journey into crisp scenes. Noteworthy sequences turn poetic in their imagery. They include a momentary separation from Lizzie’s family during a festival, a scene that captures dizzying fear. Lizzie’s first descent into a silver mine reveals a childlike sense of magic while she gazes at the mine’s untapped potential. Another memorable exchange takes place in conversation with a visiting actress, Sarah Bernhardt, who recognizes Lizzie’s longing for a rich interior life. Such moments, brief as they are, highlight more vulnerable, wistful facets of her character that help to humanize the real-life renegade. On occasion, letters sent home provide information and serve as transitions between larger gaps of time. Later sections take on the quality of summation, especially when they chronicle the fate of the Tabors’ daughters. Despite the book’s quickening pace toward the end, the work is a polished homage to a strong character. 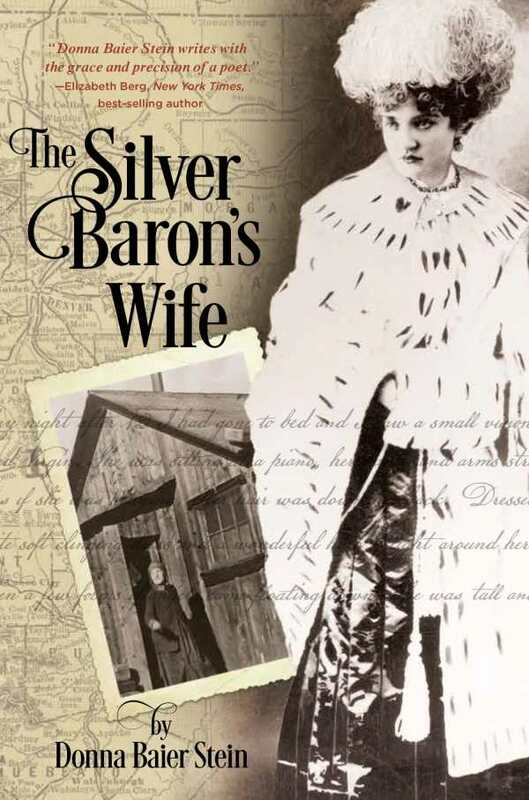 The Silver Baron’s Wife is a story of hope, loss, and mental unraveling that offers a unique portrait of a time and place that often rewarded—and punished—the fearless.